“Once Upon a Time” stars Ginnifer Goodwin (“Big Love”) as Snow White/Sister Mary Margaret, Jennifer Morrison (“House MD”) as Emma Swan, Robert Carlyle (“The Full Monty,” “Trainspotting,” “SGU Stargate Universe”) as Rumplestiltskin/Mr. Gold, Lana Parrilla as Evil Queen/Regina, Jamie Dornan as Sheriff Graham, Jared Gilmore (“Mad Men”) as Henry, Josh Dallas as Prince Charming/John Doe and Raphael Sbarge as Jiminy Cricket/Archie. “Once Upon a Time” was written by Edward Kitsis and Adam Horowitz, who are also executive producers, along with Steve Pearlman (ABC’s “V”). The pilot is directed and executive-produced by Mark Mylod (“Entourage”). 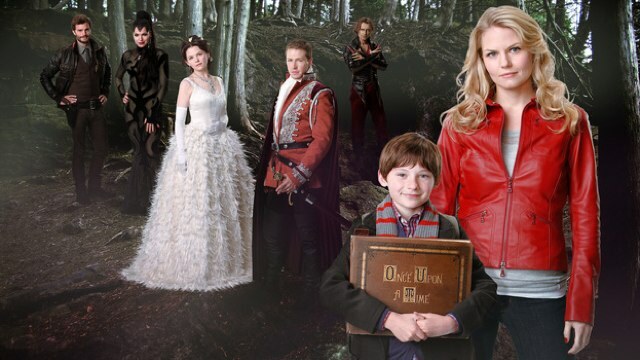 “Once Upon a Time” is from ABC Studios. I LOVE Jennifer Morrison from her days on House, and this looks like a great role for her. My only concern with this is that it won’t seem believable, if a lot of time is spent in the fairy world. I’m extremely curious to see how they translate the fairy tales into the modern world (apple cider, anyone?). I definitely think this will be worth a look-see this fall. With the all-star cast and crew, it has the potential to be a serious contender! Next postThe Winners of the 2011 Nebula Awards Are Out!